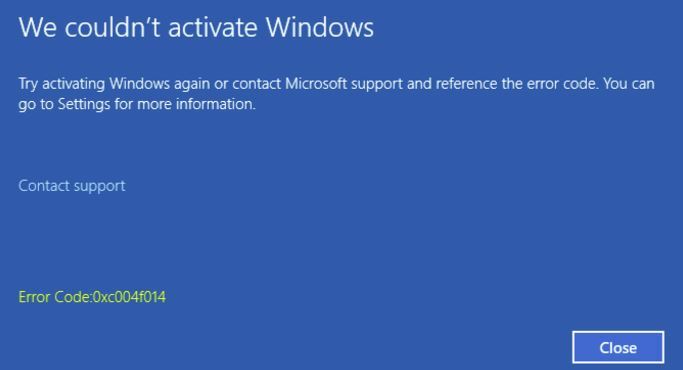 Windows Activation Error code 0xc004f014 usually occurs on Windows 10 Enterprise Edition and has to do with activating Windows 10. Most users get this error while trying to activate their copy of Windows 10 Enterprise. It means that Windows was unable to find the KMS server. Though Enterprise version is the most affected with this error, it is not limited to it. 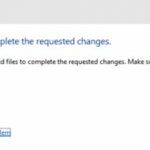 You may get the same error on System running other Windows 10 versions too. You could read “We Couldn’t Activate Windows, Try activating windows again or contact microsoft support. Error Code:0xc004f014” on the Error message box Screen. 3. Use an embedded OEM key. 6. Reinstall a different build/version of Windows 10. A couple of possible reasons for getting this specific error code 0xc004f014 while attempting to activate windows are usually because you downloaded the wrong version of Windows 10 Enterprise for the product key you have, such as the November build of Windows 10 Enterprise, which no longer supports MAK activation. This particular error may also pop up on your screen just because there is issue with Microsoft’s server. Chances are there is nothing wrong with your computer but with the servers. This is rare though but happens few times. If this would be the case, then the 0xc004f014 activation error will be solved automatically. Press the Windows Key + R simultaneously until the run prompt opens at the bottom left of the screen. Now type in “slui.exe 3” and hit enter. Upon successfully running the command you should be greeted with a language selection/activation screen that will ask for your Windows product key. Type it in now and press enter to Activate Windows. This method will work and fix 0xc004f014 error only if you have a Valid Activation Key with you. By entering it as mentioned int he above steps, you can get rid of the error and activate your copy. 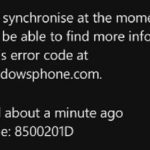 If the above method didn’t solve your 0xc004f014 issue you could also try activating your copy of Windows 10 via Microsoft’s Phone Activation wizard. To start activation via phone press and hold the Windows key + R simultaneously and type “slui.exe 4” into the run prompt that popups up and hit enter. Then choose your Country/language and click Next. Now click on the option that says “Phone Activation” and follow the prompts onscreen in order to finish activating Windows. If activating windows with your MAK key doesn’t seem to work you can attempt to activate using an embedded OEM key, which has fixed the issue and activated successfully for many users. Another potential solution for activating Windows 10 Enterprise is to activate with a KMS key instead of MAK. However, you need a “Windows Srv 2012R2 DataCtr/Std KMS for Windows 10″ product key. Once you retrieve this key from your MSVLC list, you can use that to activate Windows 10 by entering the key in your KMS to activate the machine. You can repeat this process if you have multiple keys or a multi-computer license to activate numerous computers. If you tried the above method but aren’t able to locate your KMS key or don’t have one but have a MAK key, you can call Microsoft, and they will be able to provide you a KMS key to use instead of the MAK key you have in order to activate Windows 10. If you are still unable to resolve the error even after following all of the steps above, you may simply have the wrong version/build of Windows installed for the product key you have. In this case, you should check the specific version of Windows that your product key is licensed for, downloading that version/build of Windows and reinstalling Windows 10 Enterprise with that edition. This should then allow you to successfully activate Windows 10 Enterprise with your product key without getting any Activation error 0xc004f014.